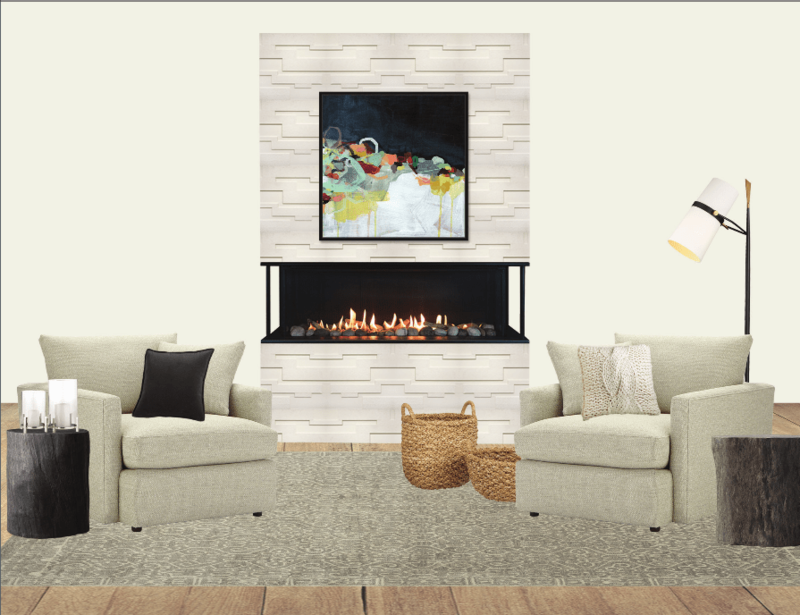 This space is neutral and casual yet contemporary and welcoming. The mix of linen on the sofa, wool rug, velvety plush pillows, baskets, and charred wood side tables creates a custom feel. Paint your walls in Beauti-tone’s Zen Commandment SC-157-0. 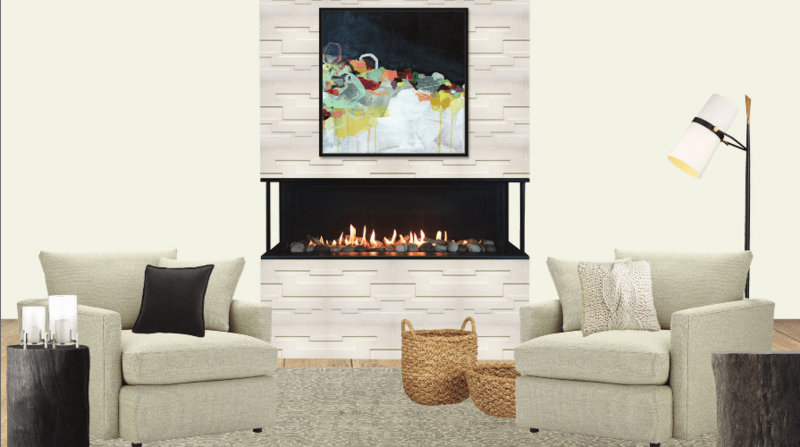 Install a Valor LX2 3-sided fireplace with HeatShift technology to ensure the surfaces above the fireplace stay cool. Hang art from West Elm. 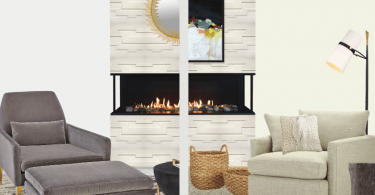 HeatShift technology in the fireplace keeps surfaces cool, creating the perfect spot to hang artwork without having to worry about heat damage! Lay down a tuffed rug from Pottery Barn. Select chairs from Crate & Barrel. Place log side tables from Restoration Hardware. Add a lamp from Crate & Barrel. Finish with throw pillows, candle holders, and baskets from Crate & Barrel. With over 20 years of experience within the design industry, the founder and principle designer Negar Reihani is celebrated for her timeless and elegantly simple approach to creating high-end, polished interiors that evoke a broad range of design sensibilities and distinctively reflect the tastes and lifestyle of her clients. She began with a career in graphic design, building a successful and thriving company that provided design solutions for many national and international companies. After 15 years at its helm, her latent passion for interior design lead Negar to fully realize a life-long dream and launching Space Harmony in 2008. Since then, her work has been recognized and featured in many national publications as well as nominated for Georgie Award. She has repeatedly won the Best of Houzz Award for most popular designs and highest level of customer service. 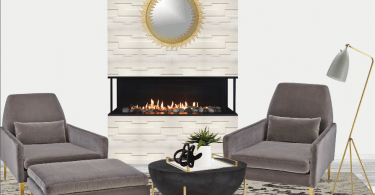 She has positioned herself as a strategist and style-maker within the industries of Interior Design, delighting her clients with her creative finesse and perfectionism.